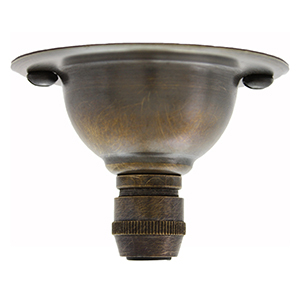 Small ceiling plate in our bronze finish with matching cable grip suitable for securing round and twist fabric lighting cable. Precision manufactured here in the UK from solid brass. Each unit is then subjected to an oxidisation process which leaves a dark antique patina. 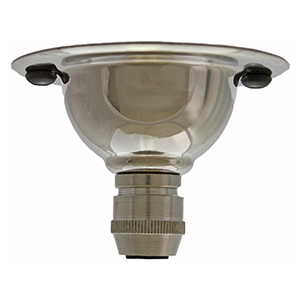 Bulb sockets are also available in this finish for creating matching pendant sets. 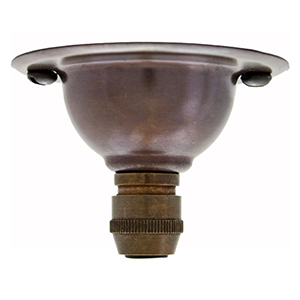 Small and discreet this bronze ceiling plate is ideal for period and industrial interiors. This ceiling plate must be earthed. 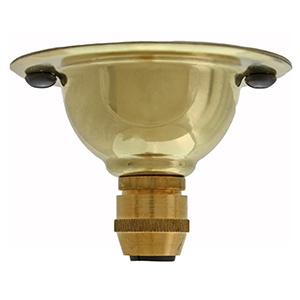 A brass earth tag is located inside the ceiling plate to enable an earth connection to be made. Due to the small size this ceiling plate is not designed to house the electrical connection. This will need to be made in the ceiling void or conduit. BESA fixing holes – for fitting onto conduit in commercial interiors. 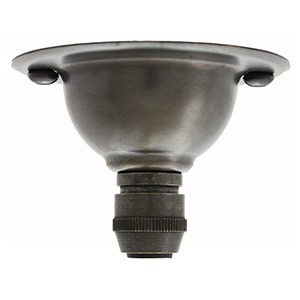 Includes 2 black japanned fixing screws for securing to the wall or ceiling. Terminal block not included. Installation by a competent person only and in accordance with current regulations.